The Trip of a Lifetime Awaits! Excited? Here's the easy-peasy way on how to join the BIC Amazing Asia Getaway's e-raffle promo. 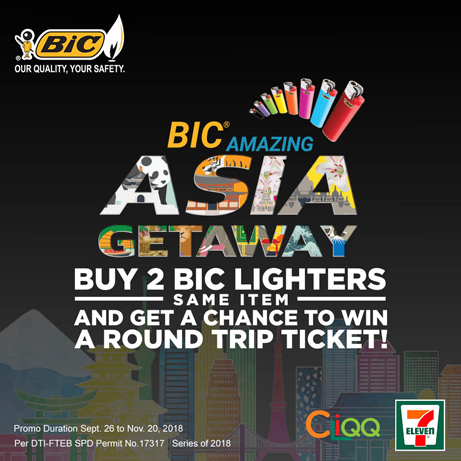 Until November 20, 2018, simply purchase any two (2) BIC Lighters at any 7-Eleven store nationwide and have your CLiQQ Card or App Barcode scanned before payment. For every two (2) pieces bought of the same items, you will earn one (1) or two (2) e-raffle entries.